The National Football Museum is hoping to collect stories and memories from female footballers who played during the sport’s ‘hidden history’ period and to then use these accounts in a new exhibition, planned for 2021. 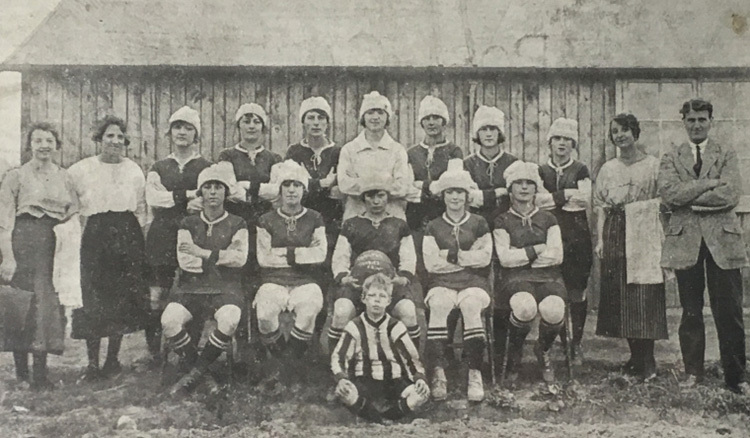 On Sunday 30 September, the museum would like to talk to those who played during the time of the Women's Football Association, from the 1950s up to the WFA's dissolution in 1993. Little is known about this period, giving rise to the term 'hidden history', and yet it is these lost decades which helped to keep the women's game alive, allowing it to flourish today. Between 11am and 3pm, members of the public will have the opportunity to contribute stories towards the National Football Museum’s oral history project, becoming part of the museum’s ever-growing archive on women’s football. The following day, the museum will play host to a reunion of prominent players from the WFA era, bringing key figures and England internationals together to celebrate their impact on the game. For more information about the project, please contact belinda.scarlett@nationalfootballmuseum.com.